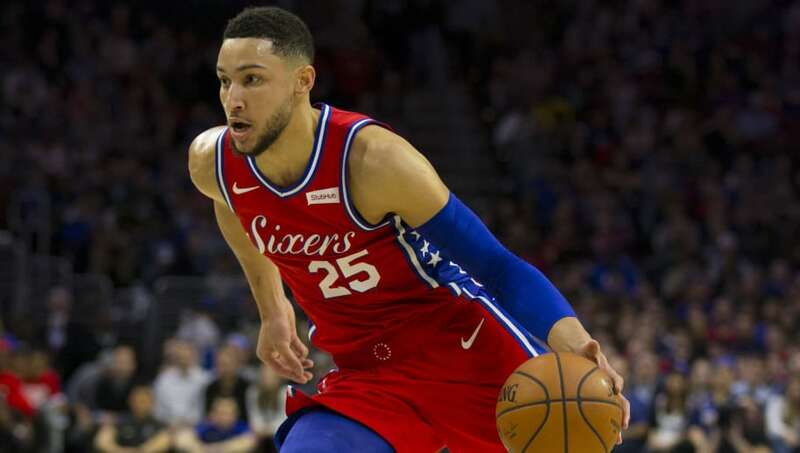 ​Ben Simmons is going to be running point for the ​76ers for the foreseeable future, as the oversized guard continues to shine in his second season in the league. At 6-10, Simmons is one of the tallest ball-handlers in the league and now he wants to learn from one of the definitive "big" point guard in the history of the game, Magic Johnson. ​Johnson is the president of basketball operations for the ​Los Angeles Lakers, so both the 76ers and Lakers organizations would need to approve of the pair meeting, of course. ​​Simmons is trying to model his game after Johnson's as much as possible in using his size, strength and speed to enhance his quality as a facilitator for teammates. Who better to tutor Simmons than the former Lakers great who himself stands 6-9? The 76ers star may be trying to sit down with Johnson to absorb some knowledge, but perhaps the Lakers executive has other plans in mind: possibly hoping to lure Simmons to Los Angeles. Simmons has yet to make a three-point shot in his NBA career, but he leads all players this season with assisted threes, having dished out 189. Simmons isn't much of a prolific shooter -- he's only attempted 11 total triples to date -- but he is still able to get the ball to the rim. The 22-year-old is averaging 16.9 points, 8.0 assists, 9.3 rebounds and 1.3 steals per game. Perhaps Johnson and LeBron James will try to recruit the kid to the Lakers in the future, but for now, he's under contract with Philadelphia through at least the 2020 season. In the meantime, all eyes will be fixed on LA awaiting inevitable accusations of Laker tampering.